Personality -- the individual differences and psychological processes that make an individual unique -- is not an easy thing to measure and describe, even in humans. Animals, who cannot respond to the traditional paper-and-pencil assessments sometimes distributed by social scientists who study personality, prove especially difficult to ascribe personality traits to. In reptiles, the notion of personality can become even more complex and unclear. We measure personality in humans based on a continuum of traits or characteristics that influence a person’s behaviors, motivations, thoughts and reactions to various situations. A number of different theories on human personality exist within the field of psychology, and no unifying theory has emerged to unite these perspectives. Personality is a construct that is continuously evolving as social scientists learn more about human behavior and cognition. Personality research using animals is a relatively new field of study, but nonetheless researchers are trying to answer the question of whether animals have personalities and what differentiates them our understanding of human personality. A 1999 meta-analysis from the University of California, Berkeley, examined animal personality research and concluded that some animals do display signs of personality dimensions like openness, dominance, activity and conscientiousness. However, they warn against anthropomorphizing, or attributing human motivations and cognitions to animal behaviors. A 2007 study from the University of California, Davis, suggests that personality in animals should be filtered through the idea that differences in growth rate, especially in reptiles, fish and amphibians, can alter or restrain behavior. Though some evidence does indicate that animals have personality dimensions, most of the research conducted on animal personality has been done on mammals with brains similar to our own in structure. Reptiles, however, have very different brains than humans do. A 2006 study from the Australian National University looked at behavioral differences in male lizards based on physical traits, and found that consistent individual differences exist in aggression, courtship behavior and even preferred body temperature among lizards. This, according to the researcher, indicates that lizard behavior may exist on spectrum from shy to bold that is consistent within the individual. It's possible, given the research on the differences between individual reptiles, that snakes have distinctive personalities. 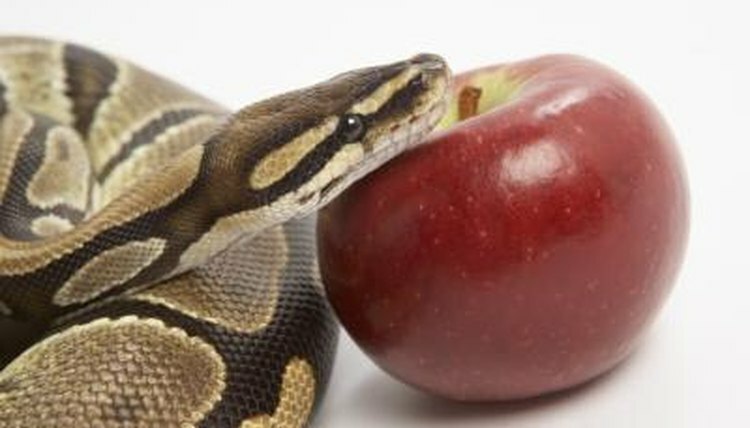 Much of our understanding of personality is tailored to human brains and human behaviors, and assigning meaning to snake behaviors based on the personality dimensions that have been identified in humans could prove to be a flawed method of interpretation. Though no known research has been conducted specifically on snakes and personality, previous research on other animals, including reptiles, suggests that snakes very well could have personalities -- either defined as it currently is in humans or some more inclusive definition that takes into account differences in animal behavior and brain structures. Certainly some pet owners believe that snakes have personalities and can bond with their owners, and that they can even respond differently to different people. Which Bird Has the Biggest Vocabulary?